To decide a paint color for our walls or a trim color to match with the wall color and the color the ceiling should be painted, is not a decision to be taken lightly. We have all stood in front of hundreds of paint color charts in the store, and usually we end up coming home with several colour charts. But nowadays, there is a solution to that problem. Walk into any paint store or hardware store that carries Behr Paint with an idea in mind of what you are looking for and you will save yourself some time. You are able to coordinate your walls, ceiling and trim colors together on Behr Paint’s official website, which have a virtual project center that provides you with the paint name and number. You can simply look for that name and number on the Behr Paint color chart then walk into the store and purchase your all requirements. 1. 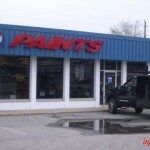 First of all, connect to the Behr Paint’s official website www.behr.com. Once the page had downloaded, over on the right at the top you will see “Project Center” . A drop down box will appear once you hold your mouse over that tab. Scroll down to find the link to ” Visualize With Color. 3. Now, you are able to either use a sample, or maybe like to load your own photo. The room or the exterior may be freely selected. Click on your 3 color choice before you place them where you would like to see them applied to the room. This will allow you to select the right color for your wall and trim. By using this procedure for choosing your colors, it eliminates the problem of discovering that the paint color is not what you expected,and allows you to visualize what your room will look like before buying the Behr paint and bringing it home. You are also able to visualize the paint color for the exterior of your home by the Behr Paint’s official website. So I hope this information is helpful to anyone who is confused deciding a right Behr color chart and about to begin a painting project.